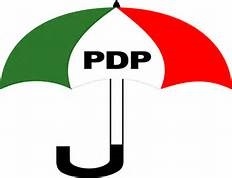 The Peoples Democratic Party (PDP) says the All Progressives Congress (APC) cannot win the Ekiti governorship election even if President Muhammadu Buhari is the returning officer. The Ekiti State Chairman of the PDP, Gboyega Oguntuase, who reacted to a statement made in Ado Ekiti on Monday by Oyegun, noted that no amount of federal intimidation from the ruling APC will frighten the people. He added that they should “focus their attention on the processes leading to the conduct of the Ekiti governorship election so as to ensure that the Independent National Electoral Commission (INEC) conducts an election that truly represents the will of the people. “Every single APC member here in Ekiti knows that the party is nowhere near any chance of winning just one out of the 16 local councils in the State. “The only thing they have been saying is that Governor Ayodele Fayose has been giving President Muhammadu Buhari problems and he (Buhari) has vowed to go to any length to take Ekiti from the governor so as to serve as a payback for his persistent criticism of the President.